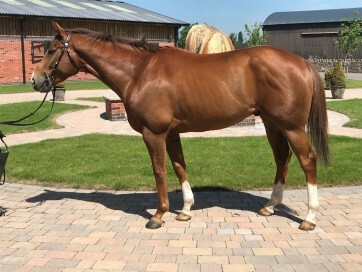 Broken Quest arrived with us in February 2017 having run twice in Irish point to points finishing 3rd on his debut and then winning on his most recent start in that sphere at Boulta on New Years Day 2017. Broken Quest went onto make a pleasing under rules debut at Worcester in May 2017 finishing 4th on his first start over hurdles. Following a 2017 summer break, Broken Quest made a pleasing seasonal debut to finish 7th at Exeter in November 2017 & since went on to land three victories on the bounce, in the FMCG "National Hunt" Novices' Handicap Hurdle at Huntingdon in January, the Matchbook Casino Handicap Hurdle at Kempton in February by an impressive 15 lengths under Sam Twiston-Davies followed by the Smarkets Novices' Handicap Hurdle just a week later. Broken Quest is a very exciting horse for the future who is sure to jump a fence in time & we now very much look forward to seeing him back on the racecourse. This good looking horse arrived with us in April 2017 and soon settled in, learning the ropes very quickly. 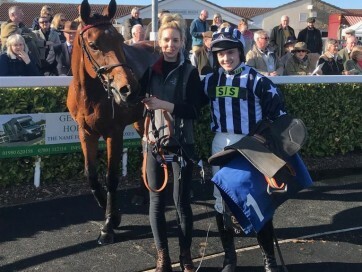 This son of Harbour Watch has a great personality and has always shown a good attitude to his work at home & he made his racecourse debut in a bumper at Hereford in December 2018 where he ran well for a long way before the ground which had got softer & softer throughout the day took it's toll towards home. 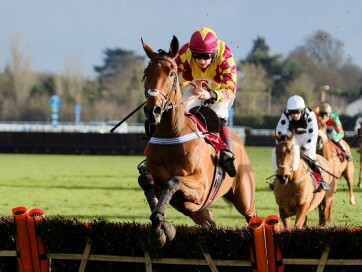 Candid Coastguard jumps very well at home & remains an exciting horse for the future within the NH sphere. Cyclop, an ex French hurdler who joined us in Spring 2014 has proved to be a very consistent horse, hardly ever being out of the placings and has four wins & a whole string of places to his name. Although only small, Cyclop has the heart of a lion & is regularly seen running in long distance handicap chases & regional nationals. Cyclop won his first hurdle race in France back in May 2014 before gaining his first British victory at Huntingdon on Boxing day later that same year. 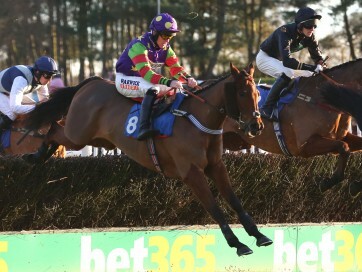 Since then, Cyclop has taken to chasing like a duck to water winning twice over the larger obstacles with his latest victory coming in the Clugston Lincolnshire National Handicap Chase at Market Rasen on Boxing Day 2017 under Trevor Whelan. We were thrilled to see Cyclop land one of these long distance handicaps and he has well & truly proven himself to be an out & out stayer. Cyclop has endured a somewhat frustrating time of it this season with just two runs so far coming at Wincanton & Chepstow in March & April 2019 but we look forward to watching him continue to contest 3m+ handicap chases throughout the year. Danecase first joined us in mid April 2015 and now has four wins under his belt in addition to a string of consistent performances & places. Danecase gained his first victory on just his third run after two previous placed efforts in July 2015 when winning at Nottingham landing the Irish Stallion Farms EBF Maiden Stakes under Martin Lane. 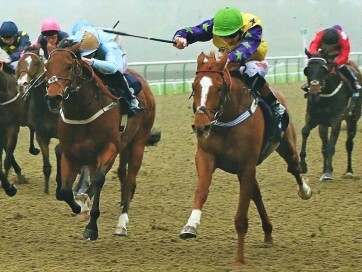 Since then Danecase has landed a further four victories including at Lingfield in October 2017 when landing the Arena Racing Company Handicap (Div I) & more recently when winning the Red Deer Handicap (Div II) at Leicester in good style in October 2018. Wins over both 6f & 7f and on both turf & all-weather surfaces prove that Danecase is a most versatile & consistent individual & there should be plenty of opportunities for this game horse again throughout 2019 following his well earned winter break.